Abhishek Bachchan who is all set to make you fall in love with his on-screen charm in his upcoming romantic flick Manmarziyaan this September has started with a unique trend. 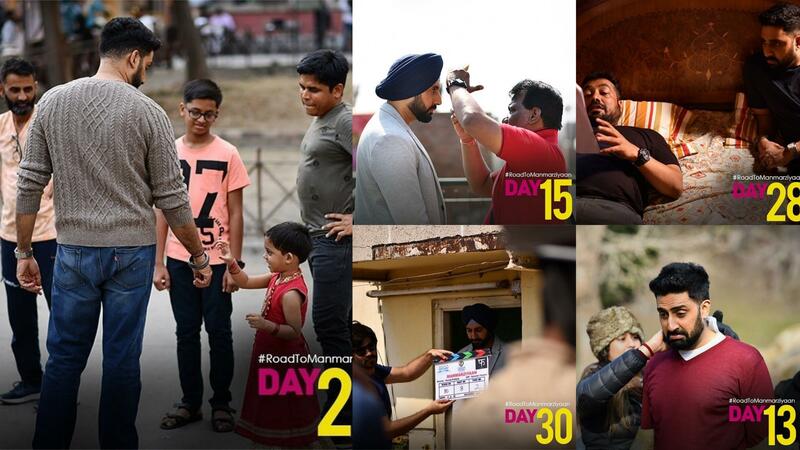 The actors making trends using a ‘#RoadToManmarziyaan‘ on his Instagram handle. The thought behind this was to highlight and share unseen pictures and his experiences from the sets of the film which will surely brighten up your day. In no time, Junior Bachchan’s social media handle looked flooded with love pouring from all over and such massive uproar seems noteworthy. #RoadToManmarziyaan started off with a backward countdown of 30, is now standing on its 12th day of a constructive run. Each picture adds to a story unknown, giving insights about the schedule that could have remained untold, otherwise. In a first of its kind attempt, the actor gives us a sneak-peek into the universe of Manmarziyaan and the netizens can’t keep calm about it. Such heartwarming pictures of Abhishek Bachchan reflecting his journey throughout, including his moments of joy relishing the local flavors will leave you in an awe of him!